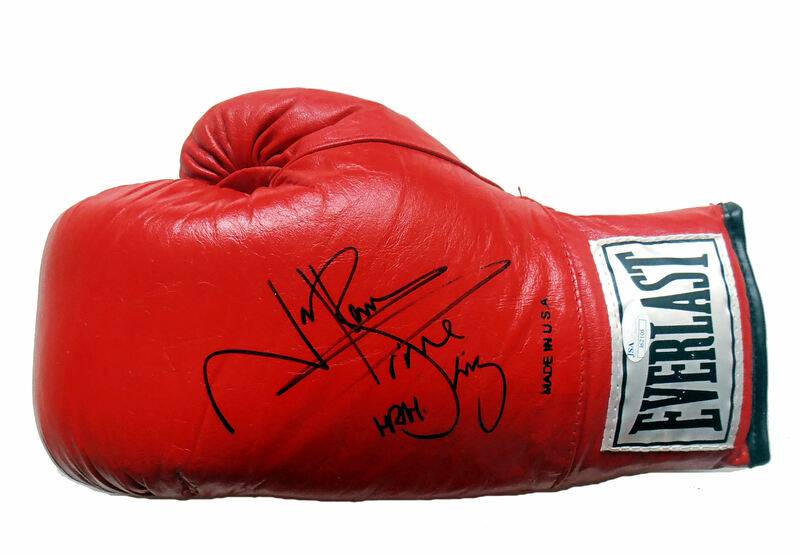 Description : Prince Naseem Hamed is the former WBO, WBC, IBF, and Lineal featherweight champion, and European bantamweight champion. He also knocked out Wilfredo Vázquez who had just been stripped of the WBA title prior to their fight. 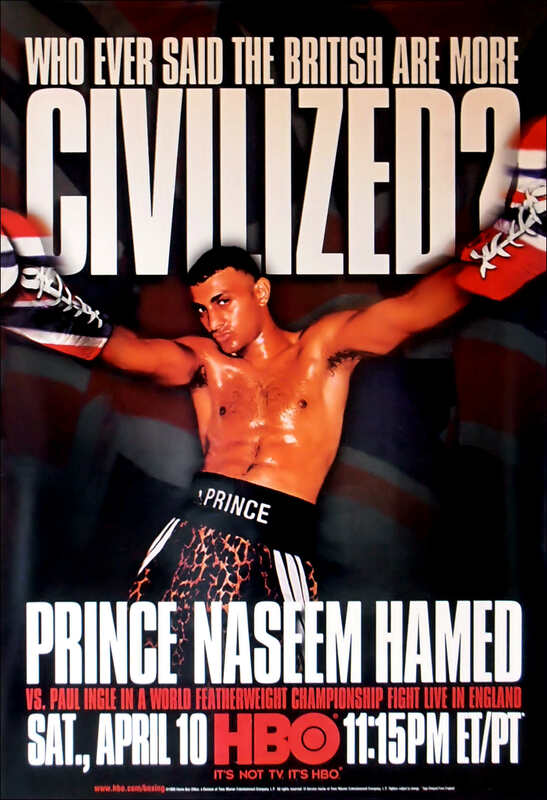 Hamed is rated by BoxRec as the sixth pound 4 pound best British boxer of all time. Hamed was known for his boxing antics and spectacular ring entrances that have included entering the ring via a Chevrolet Impala, a flying carpet, a lift, and a palanquin; re-enacting the video of Michael Jackson's Thriller; and wearing a Halloween mask. He was also known for his front somersault over the top rope into the ring.In 2015 Hamed will be inducted into the International Boxing Hall Of Fame. 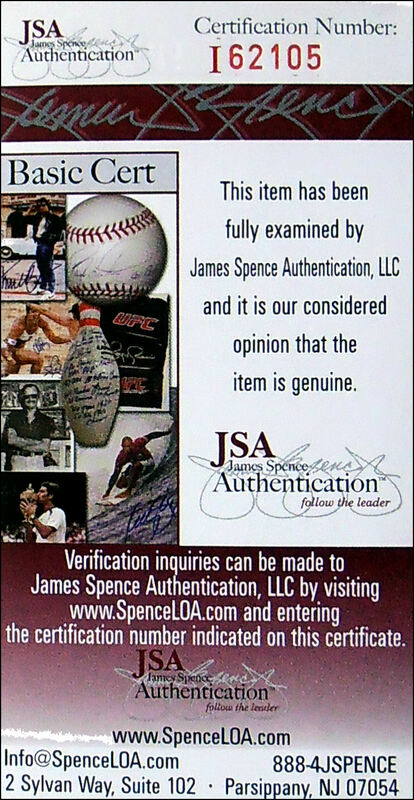 This Prince Naseem Hamed signed glove comes with a 'James Spence Authentics' cert & an LOA of lifetime guarantee of authenticity from KOfightposters.com.